As parents, we spend our lives encouraging, uplifting and motivating our children. Along the way, we share parts of our personalities and our core values. 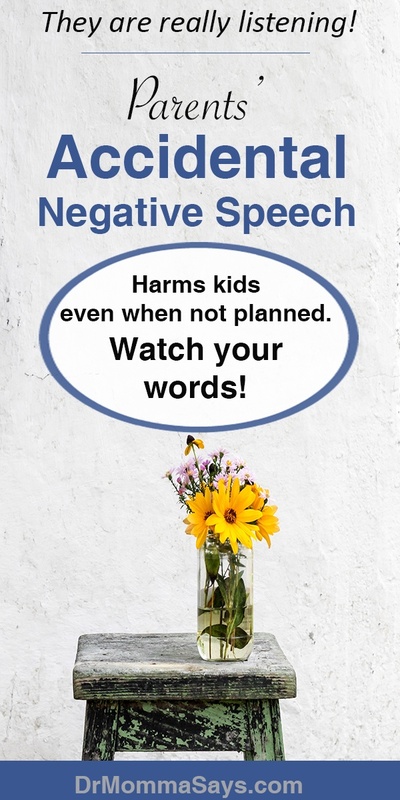 Sometimes we share accidental negative speech about our petty thoughts on subjects we do not think are important; however, kids do not sort our speech. They absorb whatever we teach them. 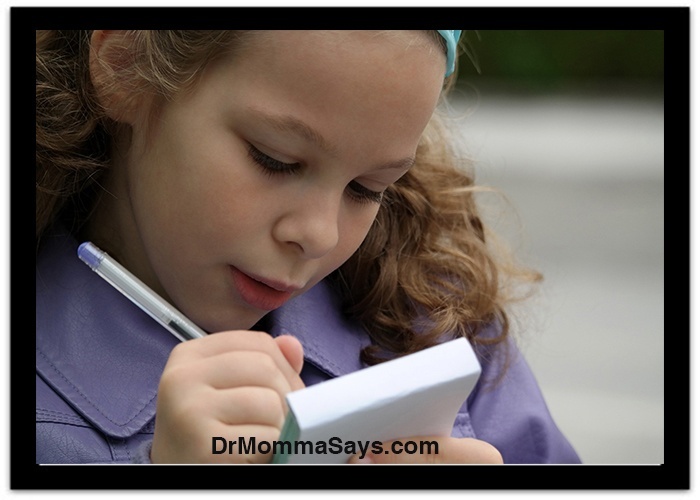 The words you say to your children may not show their impact until much later in life. Choose your words carefully. I completely understand how young children develop biases at a young age. If you casually mention something once or twice, it is unlikely your child will latch onto it. But when you repeatedly share your opinion on a topic, please understand your child is also considering that as her opinion. 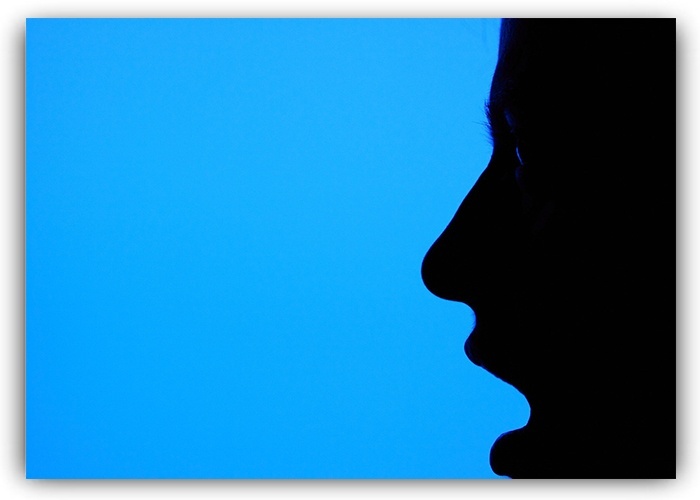 Even if you never have a direct talk about it, your opinions will be noted. Young kids do not understand racism, sexism or classism. These are learned concepts that few parents actually go out of their way to teach kids. But kids learn incredible amounts simply by listening. We must keep in mind that unless we are purposely trying to teach our kids something, we need to have certain adult conversations when they are not listening. I am a physician who has been conditioned to have a dislike for lawyers. This dislike is based on the lawyers who constantly look for ways to point out that physicians are not perfect. Malpractice lawyers spend their lives often ruining the lives and careers of physicians. Yes, patients need advocates to protect them, but they do not need people pouring over medical records looking for any ‘tiny possibility’. I have worked with malpractice lawyers and learned their mode of operation. “If the words are not written down, then it didn’t happen”. 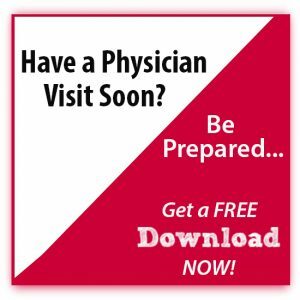 Physicians do our best to write down everything that we discuss with patients, and electronic medical records have helped this a great deal. But it is still nearly impossible to document everything discussed in the office or hospital. And unfortunately, if there is an undesirable medical result, these medical records often have the final say. Physicians take the Hippocratic Oath, which boils down to “First Do No Harm”. Patients are not all the same and outcomes are not always what we want them to be. But as a whole, physicians are caring people who understand that our patients’ lives are often in our hands. We do our best to do no harm. Of course, as in any field, there are exceptions where physician are not good or caring. There is no excuse for practicing under the influence of drugs and alcohol. These physicians need to be disciplined as their choices have already ruined their lives and careers. Patients need to be protected from physicians who are not doing their best. Hospitals and physician groups do an excellent job of monitoring our own and routinely review these undesirable results with a goal of determining appropriate discipline and learning opportunities to avoid these future incidents. Early in my career, I learned that malpractice lawyers constantly raise questions about reasons physicians could not make a diagnosis fast enough or why one treatment option was chosen over another. Medicine is not an exact science, and there is usually more than one acceptable course of treatment. Physician malpractice insurance has sky-rocketed because we need to find lawyers to defend us, after we did our best but it is declared not good enough. Personally, my practice changed when I assisted a colleague in performing a complex surgery. One week later, while the patient was in the intensive care unit, a major event occurred that was not related to the surgery. However, surgeons are considered “captain of the ship”, so anything that happens after surgery is directed to us. The lawyers came in and assigned blame to as many physicians as they could find. Because of the potential to face blame for events that occur when we were no longer the main physician managing the patient, we both decided to stop performing that type of surgery. These are personal physician choices, driven by concern about what the lawyers will say or do. This background is important in understanding the constant lawyer bashing my girls heard on a regular basis. I always pointed out how caring physicians were and how heartless and brutal lawyers were. My accidental negative speech taught my daughters that lawyers don’t care about the truth, they only care about winning. In medical school, I studied in awesome law libraries. My law school friends explained how they had presentations fighting for a verdict on a case, and then, they had to fight just a passionately for the other side. This effectively meant they had to ignore the information they clearly knew and only focus on the new goal of winning. Truth does not matter. Just use the law. Find the loophole. Find the punctuation error that lets you interpret something in a way far different from what you know was intended. I found this concept disgusting and proceeded to make constant lawyer jokes to my girls. Please understand that I have lots of lawyer friends who I love. I just hate their job, and their ability to see what they need to see, not necessarily what is actually there. Lawyers provide invaluable services which I have used many times over the my career. Lawyers are vital to our world and I commend them on their work. I just hate it at the same time. Eventually, I realized the ability to see things from different viewpoints provides what we each need to present our side of a story. I am judgmental and would make a terrible lawyer. I interpret facts based on the most likely correct answer, not what tiny possibly could exist. Lawyers look for tiny possibilities. As my daughter matured, we had heated debates about a variety of topics. Listening to her, I found myself thinking: Who are you? Don’t you see that is wrong? How could you see that from another angle? I slowly realized she had that extraordinary gift of looking at things from different perspectives. She possesses the ability to persuade others to her side. After a Super Bowl game in high school, she debated with classmates about the best commercials. She said the big horses with long hair on their lower legs, pulling the beer trucks were Cyclops horses. Other students could not quite recall the exact name; however, they said they didn’t think her answer was correct. She found it hilarious and roared with laughter! No shame or embarrassment about her words. You win some and you lose some. After she told me this story, I knew she had a gift that could translate into being a good lawyer. Work the room and make people believe what you believe. Over the last few years, I have done a lot of back pedaling. I frequently highlighted lawyers in a positive light. Each year, she had a less violent reaction to the concept of lawyers. 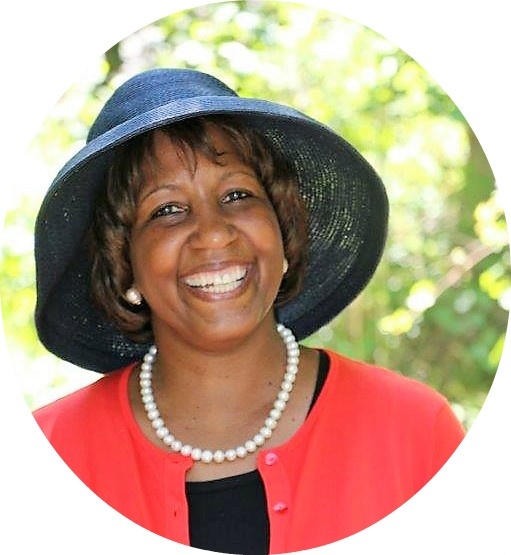 Recently, after a trip to Washington, DC, she excitedly talked about how great it was to meet random people on the street and openly debate about everything! She announced: I think I just like to fight! As a business major focusing on strategy and operations with a minor in engineering, she plans to have a career starting with management consulting. One days, she hopes to obtain her MBA. Recently she casually said: Hmmm. I might look into getting an MBA / JD. 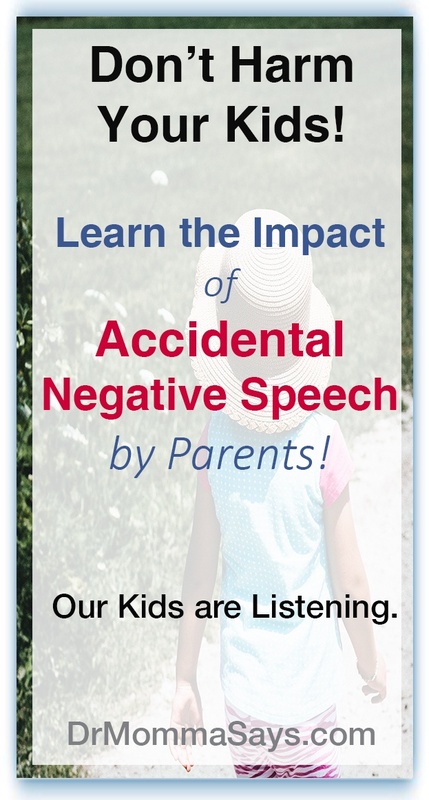 I am guilty of accidental negative speech to my child. Many other parents may also have made this mistake without realizing it either! Be careful about your biases as it blocks your children from making their own decisions. Our jobs are to raise them to be their best selves, not to be clones of ourselves. Words from parents have the power to pass on racism, sexism, classism, religious and lifestyle intolerances. We need to share our beliefs, but use words in a way that do not make our children afraid to believe in something different for fear of disappointing us. So true! Biases and opinions are learned, and as parents everything we say and do is a lesson for our children. Your personal example really puts it in relatable terms — I need to think how I’m influencing my toddler! This is so important to remember. I am definitely guilty of these at times. I love this article! (And you write beautifully) Sometimes as a mom I realize only after I’ve said something very negative that could have been said a little better or more positive. Thanks for sharing! Remember to watch what I say around my children! Yes! I think we all know the type of speech that is obviously negative but there are many things that we repeatedly say that we are not aware children are processing differently than us. Just good to keep in mind. I learned my lesson!